Ants are one of the most successful and numerous insects in the world. They can be found on virtually every major landmass except the continent of Antarctica and a few inhospitable islands. Scientists estimate that there could be more than 22,000 species of ants in the world, but they have identified only 12,500 species. Fortunately, there are just four types of ants that people in the Seattle area are likely to encounter. However, each type can require a different treatment method, requiring an accurate identification of the particular ant or ants involved. Because some types of ants look very much like another type, the services of a professional pest control company may be needed to ensure that the correct treatment plan is implemented. Carpenter ants are destructive pests that are among the most common types of ants found in Seattle. These ants build their nests in wood, and they prefer damp or rotten wood. Carpenter ants do not eat wood; they simple hollow out the wood for nests and tunnels. On average, carpenter ants are the largest type of ant commonly found in Seattle, often growing to as much as an inch. Odorous house ants, also known as stink ants, coconut ants and sugar ants, are small insects that seldom grow to be more than 3 mm in length. For comparison, carpenter ants are up to eight times larger. Odorous house ants earned their popular name due to the pungent smell that they emit when crushed. As these ants frequently establish multiple nests that each have multiple queens, eradication can be difficult. They are fond of foods that have a high content of sugar, but they will feast on virtually any food. Pavement ants are smaller than carpenter ants, but they are only slightly larger than odorous house ants. Unlike odorous house ants, however, pavement ants are typically found outside although they may occasionally venture indoors. As you may have deduced, pavement ants prefer to nest under pavement or paving stones. They build small mounds of sand or dirt on top of driveways, sidewalks and patios. They are also likely to be the type of ant engaging in a massive sidewalk battle. Moisture ants sometimes build their nests underneath rocks, but they prefer to nest in or around rotting, damp wood. Worker ants are about the same size as odorous house ants, but moisture ants emit a scent similar to citronella when they are crushed. Moisture ants are typically an indication of structural damage rather than the cause of the damage. They are often found inside walls where leaking pipes have occurred. 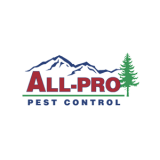 If you need help controlling ants or any other pests, contact All-Pro Pest Control. We have the expertise to help our customers beat their toughest pest problems. We proudly serve Federal Way, Washington as well as many other communities in King and Pierce County. Check out our service area and see if we can help.